The 2-way 2-position (2/2-way) electric solenoid valves are general purpose for air, water and oil control with high quality and strong durability. Here is also available for steam solenoid valve for high temperature up to 180℃. 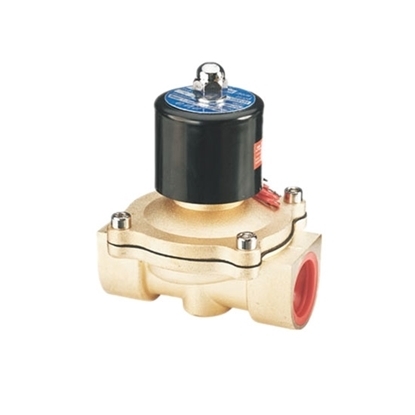 The body of solenoid valves are brass or stainless steel and the seal material is NBR. Normally closed and normally open solenoid valves are right here for your applications. The universal solenoid valves have a hugh selection of port sizes. Then, why not choose a suitable one here directly? 2/2 way solenoid valve, 2-way 2-position (N/C), general purpose for control the flow of air, water and oil, with different port sizes G1/4", G3/8", G1/2", G3/4" to G2", and operating voltages DC 12V, DC 24V or AC 220V available for your applications. 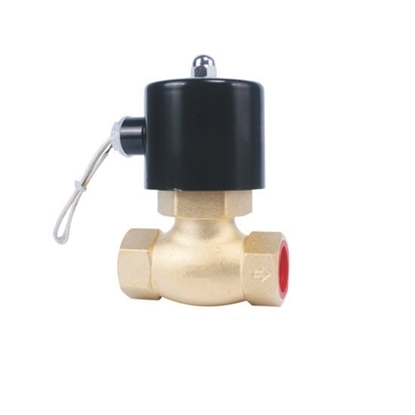 Valve body is made of brass and sealing material is NBR, with good medium compatibility, high reliability, long service life and low cost. 2/2-way solenoid valve, 2-port 2-position (Normally Open), general purpose solenoid valve for air, water and oil, pilot-operated type, brass body and NBR seal, port sizes ranging from G3/8", G1/2" to G2", power supply DC 24 volt and AC 220 volt available, safe and fast switching, favorable price and high reliability. 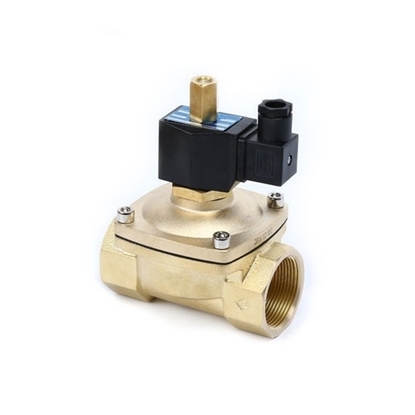 General purpose solenoid valve, designed for steam, water and air, two-way two-position (2/2 way), normally closed (N/C), direct-acting type, brass body and EPDM seal, able to handle fluid at high temperature up to 180℃, selectable voltage DC 24 volt or AC 220 volt, port sizes available for G1/2, G3/4, G1, G1¼, G1½ and G2 inches. 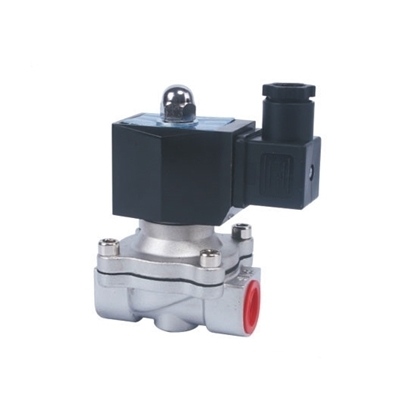 2/2-way (2-port 2-position) stainless steel solenoid valve, Normally Closed (NC), pilot-operated, general purpose for air, water and oil, working voltage 12V DC, 24V DC and 220V AC available, optional port size G1/2, 3/4, 1, 1¼, 1½ and 2 inches, high reliability and low price. 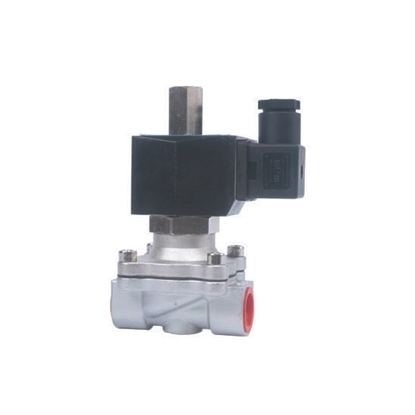 2-way 2-position (2/2-way) general solenoid valve, Normally Open (NO), stainless steel body and NBR seal, suitable for air, water and oil, operating voltage 12V DC, 24V DC or 220V AC, various sizes of pipe connection G1/2, 3/4, 1, 1¼, 1½ and 2 inches, fast response time, long life, high reliability and low price.